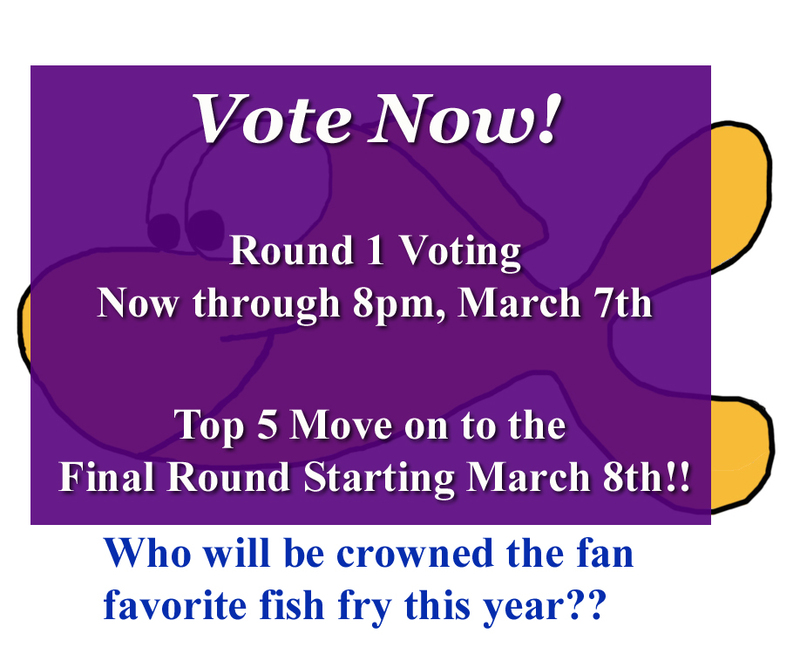 Round 1 - Now through 8pm, Thursday, March 7th. What if my fish fry isn't listed? (We've only included those fish fries we have attended). But you can send a write-in vote if your fish fry isn't listed. 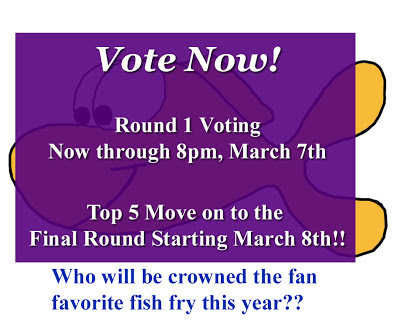 If your fish fry gets enough write-in votes, they will be included in the Finals. 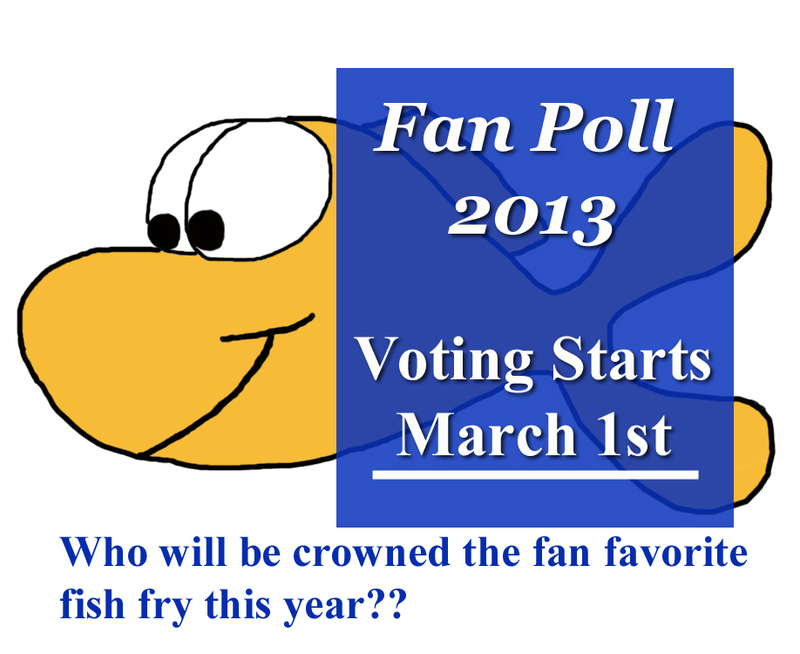 Send write-in votes to: fishfryguy@fridaynightfish.com. Put the Fish Fry Name in the Subject Line.